Mazda – COTR – Newsletter 2016 #12 – Cleaned and prepped by Muc Off. There is a LOT of information to fire out for the Double Header so we are not going to brake a chain at the start here and stall out. Only a few little segments this week. ONE THING TO REMEMBER: THERE IS A TIME CHANGE SATURDAY NIGHT! 1 hour extra sleep. Do NOT show up early Sunday. Take the SLEEP!! · With the price of airfare to Quebec $400+ more than flying to Japan it is no wonder that there is only one (that we know about) COTR racer making the trip to Nationals this weekend. 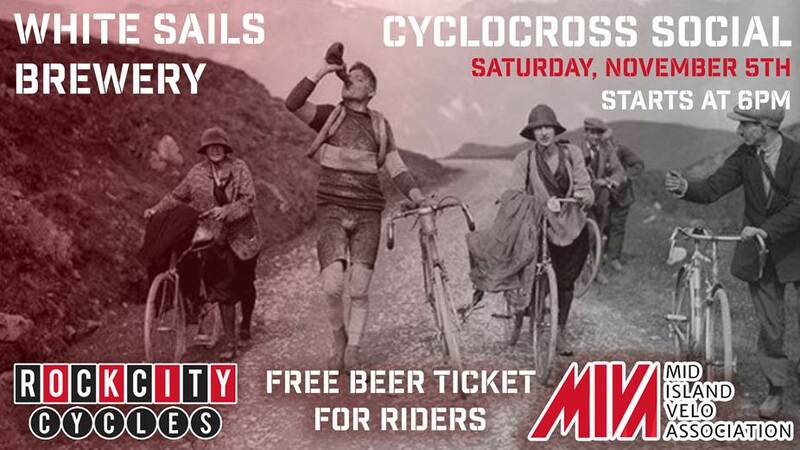 The best of luck to defending Champ and Naked Factory rider, Mical Dyck, this weekend. We have a GOAL to register 100+ bikes over the 2 days of racing in Nanaimo with 529 Garage. 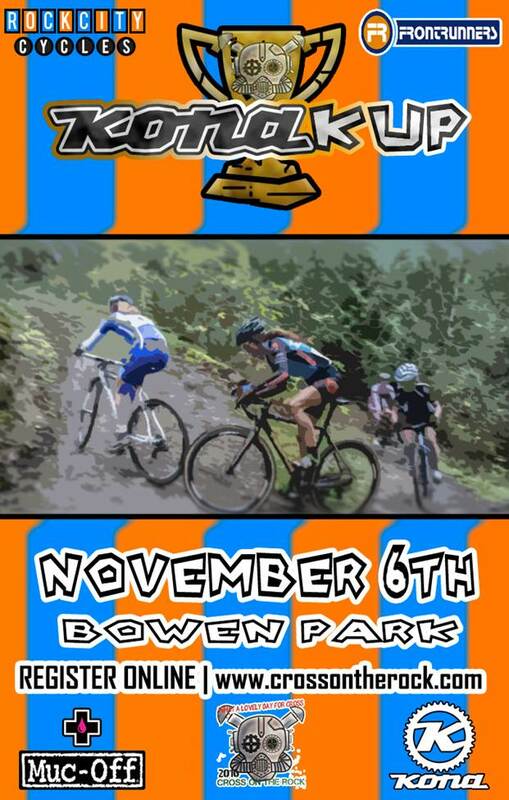 Beban park is the site of the first ever cross race on the Island outside of Victoria when we put on a Worlds prep. race 10 January of 2004 won by Robin Dutton. That year the lap times were close to 14 minutes and the rad course was around 4.5km. Later in 2004 it hosted the first official and sanctioned race on the island won by Andrew Pinfold. In 2006 we hosted the Canadian Cyclocross National Championships. The biggest National Championships and biggest race in Canada up to that point. Beban park has been used every year since 2004 except for 2014 to host a race. Parking and Tents: There is a LOT of parking at Beban park. Where we do NOT want you to park is in the close to (south of) the soccer fields or close to the main barn near the start of the race course. You can park beside the swim pool. You can also park beside the golf course. The tent set up area will be the same as last year – across from the registration Barn and along the start section of the course. You can park BEHIND your tents in that area but be aware the gate will be locked once the first race begins so as to prevent traffic movement while the races are in progress. Again….once the races start and until they finish the GATE WILL BE CLOSED, LOCKED and unless there is a medical emergency we will NOT KNOW where the key is so don’t ask. Race Course: Things are coming together for Saturday’s race. Both the weather and the course will be similar to last year’s event but with a few notable changes. Because of the rain we are not using the BMX pump track. Last year there was quite a bit of damage caused by those skinny tires and we need work with all the user groups in the venue and respect their wishes. The BMX track is being expanded and some trees have recently been felled between the BMX and the off leash dog run areas which leads to some interesting new lines in there. Expect MIVA to use all of the available barriers and every ounce of terrain to ramp up technical aspect. Think flowy, fast and FUN! Food: The folks from Superstore will be on hand to BBQ up some tasty burgers by donation (suggested $5) with profits going to Xmas Hampers via Haven House. Thanks to Patrick Burnham for arranging that. MIVA will be donating $250 to the volunteers to help cover the food costs so please help to support this worthwhile cause. Vollies: For course setup we are meeting a 4:30PM on Friday at the Beban Barn where race registration is. It should take 1.5 hours, so done by 6PM but we still need a few more volunteers for setup and take down. So far we have 14 but could use another 10. Please email me at hewitsonron@gmail.com Thanks so far to Ken Olson, BILL MCMILLAN! !, Chris Cameron, Monty, Man-o-Steel, Phil Birrer, Frederick Robinson, Miva Mike McCarney, Patrick, Shep, Paul, Kyomi, and Brad. Menno. Prizing: You’re gonna like this. Janna Gillick and Wendy Simms have created some homespun madness that is going to be the talk of the town. That’s all I’m allowed to say but you are going to totally dig it. (Norm’s Note. We saw these last night for the first time….super sweet. Keep an eye on FB page as we might be posting some photos). Growlers too with our Bunny Race branded growler bottles and a little sumpin-sumpin for the kids race compliments of Norm. WIN A KONA PRIVATE JAKE!! The Odds are AMAZING!! The Course: Bowen Park has been the home for the Kona Kup since 2009 with the exception of 2015 where it was moved to Beban. . It’s a love it or hate it course. Some good elevation gain each lap. Being that it wasn’t used last year the course won’t differ too much from previous years. Killer stair section and long sand section to test the legs. This course has the distinction of holding the #1 spot for COTR toughest courses as well as 4th and 10th. Pro Tip: Save something in your legs from Saturday! Parking: There is some on-going construction in the area and they have been using the lower parking lot as staging so we may or may not have the full parking lot. Not to worry. There is a LOT of parking in Bowen park and it is all very close to the main area. Once the lower lot fills up there is the upper lot close to the tennis courts as well as the upper-upper lot by the swimming pool and lawn bowling. Washrooms: One set up in the community building by the swimming pool and lawn bowling (please do not wear your dirty shoes in there. Another set right by the start of the race course. Bike washing: Peter the Legend from Cycles Lambert will be there to power wash your bike on Sunday. Bring him a beer or something to keep his energy and spirits high. Timing Band and number pick up (If you did not race the day before. Numbers are the same for the rest of the race season): Under the Rock City tents in the parking lot. Food: AJ’s food truck will be on site. They will be there early enough for people to grab a breakfast sandwich and coffee before they start their lunch menu. They have debit as well. Volunteers: Set up will start at 7:30 Sunday morning and we will need volunteers throughout the day for course maintenance, timing, registration etc. Please email: Rockcitycyclesnanaimo@gmail.com if you can help. Prizing: We have some great prizes from Kona Bikes including a Private Jake cyclocross bike. Also prizes from Cycles Lambert. ← Mazda – COTR – Newsletter 2016 #11 – Cleaned and prepped by Muc Off.